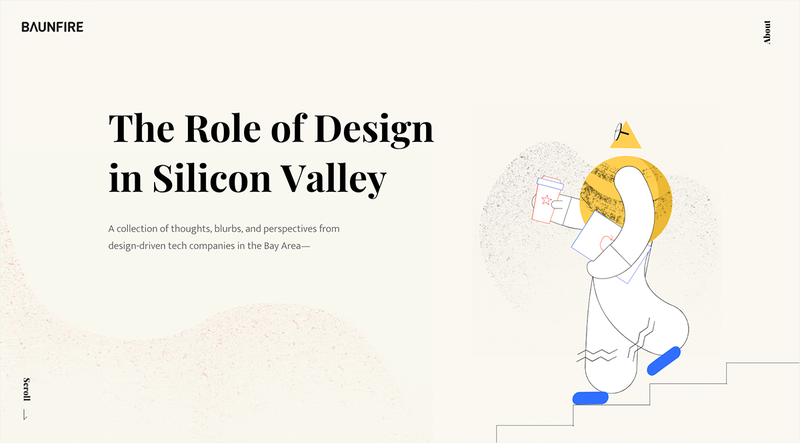 The Role of Design in Silicon Valley is a microsite experience that showcases different perspectives from design-driven tech companies throughout the Bay Area. Our vision for this internal project was to push our creative design and development capabilities. The project features six overarching themes, with various quotes from some of the most influential design thought leaders in tech today. Each blurb is accompanied by our interpretation as an agency as well as the role and importance of each theme at Baunfire. Our in-house team of web animation artists and interactive developers created a unique set of characters and textured backgrounds for each page. High-impact imagery and animations complement the simplified copy and open layout style throughout, providing an engaging and memorable experience for users exploring the project. As a Silicon Valley digital agency, we set out to create an easy-to-digest, shareable thought leadership piece that effectively communicates the importance of great design, particularly in today’s tech landscape. 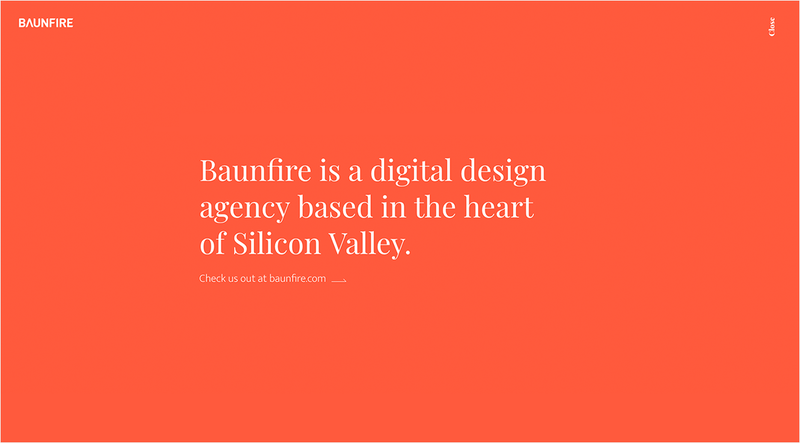 Our goal for the microsite was to show the value of partnering with a creative agency such as Baunfire to identify and solve various business needs. 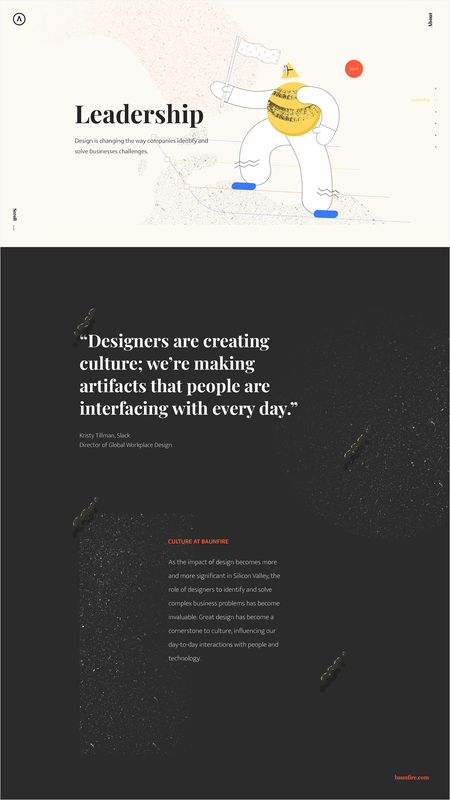 The microsite earned global recognition on Awwwards for an equally sophisticated experience across phone and tablet devices.